- You will have to at least, have four varieties of tomatoes. Different tomatoes have different ways in adapting to your unique locality and some will be better than the others. Growing several types at once will help you to assess and know which one is the best one for you in term of climate and which one will be better in term of defense system against diseases. - It is very important for you to have different seeds from different brands, but you need to use only the best brands such as the Gardener’s Delight, the San Marzano, and also the Constoluto Fiorentino. - Tomatoes need direct sun, so you will have to find the spots where they will have plenty of direct sunshine. - Nature takes good care of plants, but if you want your tomato plants to bear great harvest, then it is less riskier to grow them in the greenhouse of in the polytunnel. - If you are considering having companion for your tomato plants, then you would not have to worry as tomatoes can live side by side wonderfully with other types of plants. Basil or garlic is the perfect examples. - You need to be able to shelter your tomatoes from wind, but they need breeze in order to develop strong rooting system. - The best time to sow seeds is at the early spring. Immediately pot them when you see the first leaves emerging from the seedlings, but wait until they are about 20 cm tall before planting them out. - To provide the tomato plants with support, you need to use canes with different height depending on the height of the tomatoes themselves. - Remember that it is the root that needs the water, so water the soil and not the leaves and other part of the plant because when the tomato stems and leaves are wet, they easily rot and die. 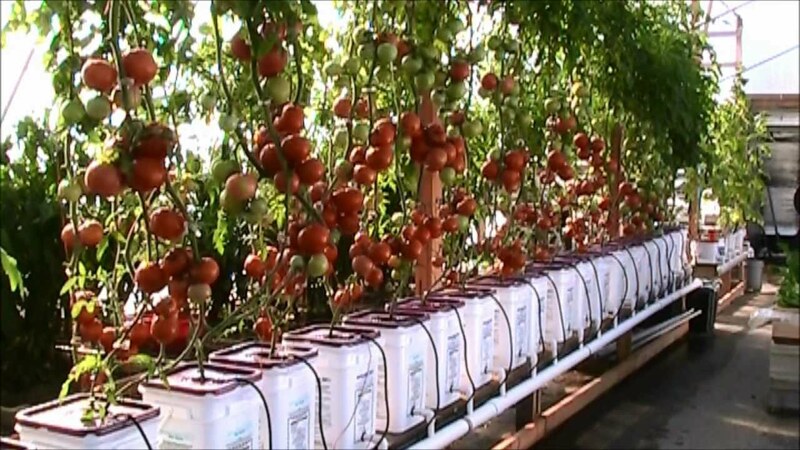 - To avoid getting the tomatoes too wet, they need to be watered in little portion but often.